Longboarding Blog: MuirSkate's "12 Days 'til Christmas" Card Contest! MuirSkate's "12 Days 'til Christmas" Card Contest! Seasons greeting, little elves! The time has come for us to hold a festive contest in tune with the song of the season: It's time for our annual holiday card contest! And to spice it up this year, twelve prizes will be given out (one per day) along with an additional "grand prize" after it's all said and done! Make a greeting card! Make it for the brand who will be selecting the winner each day. Cards must include the logos of relevant brand(s) and MuirSkate! - MuirSkate logos can be found here. 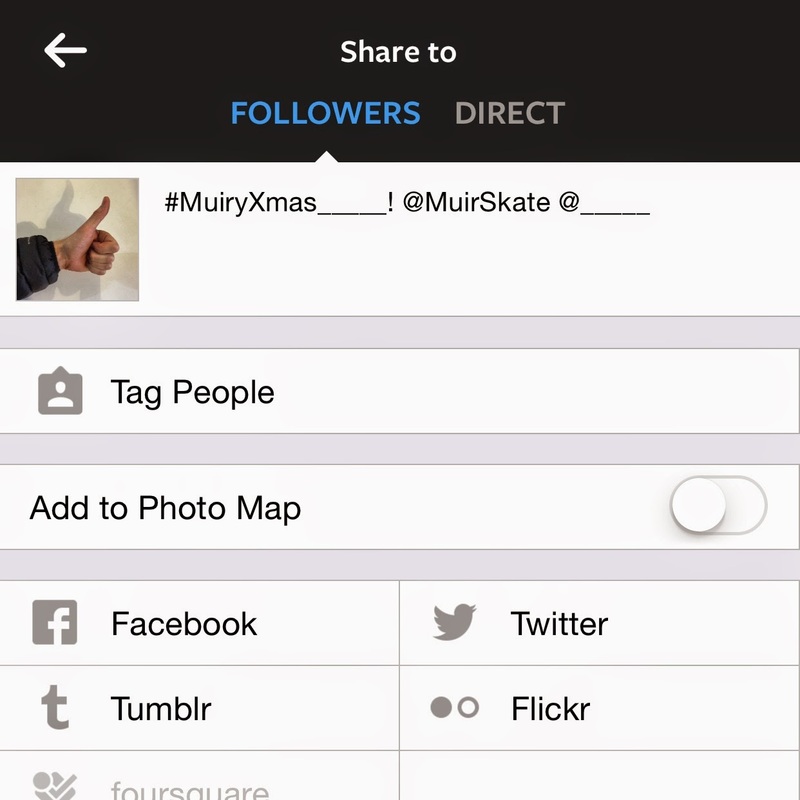 Post a photo of your greeting card to Instagram using the appropriate hashtag (see list of tags below in green), and tag @MuirSkate along with the brand(s) of the day! Bonus tip: Your card can be made however you like so long as you can submit a photo of it! (We would suggest that you keep it two dimensional like a traditional card but you are free to do as you please!) Please be sure your account is public so we can see your submission! Thursday, Dec. 25th - MuirSkate's Grand Prize! - Mail it in before this date! Winners will be announced on the days listed above (check the MuirSkate Instagram account! ), so we suggest that you submit your Instagram entries by 11:59pm the day before! Any physical submissions for the grand prize must be received by 4:59pm on December 24th. But what about the prizes?! Right! The prizes! Each brand will be responsible for selecting a prize pack to give to their winner. The prize packs will vary by brand (from multiple sets of trucks to full completes!) and they will all be filled with epic goodness to get you stoked! We will announce the contents of each prize pack the day of. The grand prize will be a $500 Gift Card to MuirSkate.com! - Does it cost anything to enter? - Nope. Just your time and creativity! - Can I submit more than one? - Yes. Go for it. Don't even ask, submit as many different cards as you can create! - Does it have to be a "card"? - Can I submit the same card for more than one contest? - No. Unless you're submitting it for the "Grand Prize", you should submit different cards for each of the different days! Personalization is key! - Can two people work on the same card? Will we get double the prizes? - Sure and nope. Sharing is caring! - Will I get my card(s) back after the "Grand Prize" selection? - Nope. We will be far too busy sending out orders to send cards back. Sorry y'all! Just don't send us your family heirlooms and we'll all be OK!